So you’re planning a little excursion to the great outdoors – it looks so inviting on the DOC website, if you choose the right day. Ah, yes, the weather! If only I can guarantee a fine day, you think to yourself. 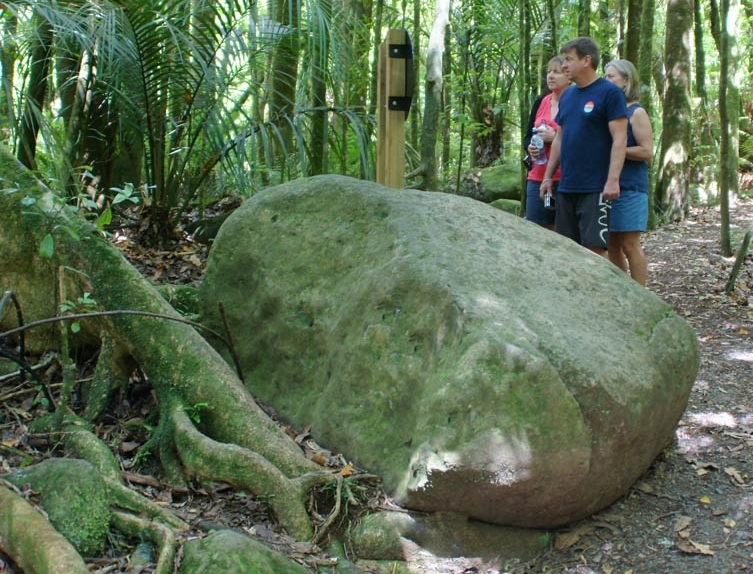 So, I gave Crumpy’s theory a test when recently planning a visit to the popular Mangakara Walk, in Pirongia Forest Park. A quick glance in the direction of Pirongia confirmed the mountain was visible, therefore it wasn’t raining. Thirty minutes from Hamilton on tar-seal and you’re at the end of Grey Road. There’s ample parking and a shelter kiosk containing attractive panels with quick-read snippets about the site. The Mangakara Walk is only 1.5 km and can be walked easily within an hour. If you’re short on botanical knowledge, Mangakara is the ideal crash course for identifying a tall miro, a fallen tawa, a large rimu, an ancient kahikatea, parataniwha, rewarewa, kareao, nikau, and the distinctive buttress roots of the pukatea. Each feature is precisely described on colourful interpretation panels. And if you’re into geology, perhaps you can offer a plausible explanation for the presence of a large boulder beside the track. The rock does have that worn look that only flowing water can produce, but from where, and when? Certainly, the Mangakara Stream flows nearby – but there are no other rocks even remotely the size of this oddity, in stream or out. On we go, over a little bridge and there it is – an ideal spot by the stream bank for the picnic blanket. And rocky little shallows where the youngsters can paddle about and cool off before completing the circuit track and heading back to the car. 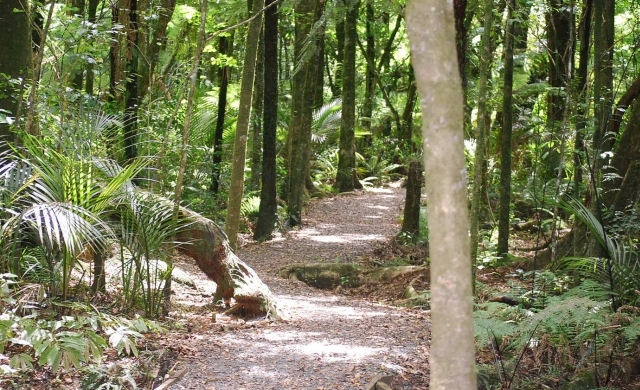 Mangakara is an enticing spot on Pirongia’s lower slopes – and a perfect introduction to several longer walks towards the summit that you might want attack some other day. 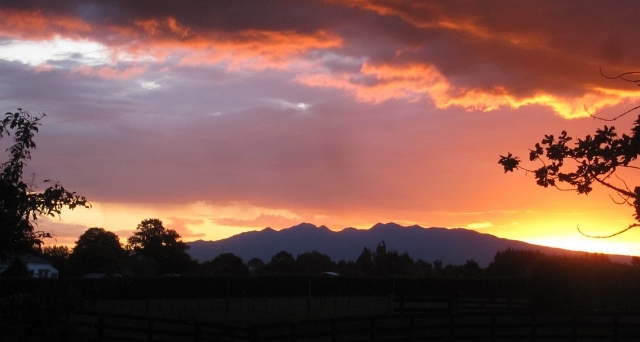 Pirongia Mountain is visible from just about everywhere in the Waikato – as long as it isn’t raining.